Chromebook Pro: What Would You Want To See? A new Google Opinion Rewards survey has been making the rounds via a Reddit post from a user jellofort that has sparked some good discussion around the idea of what a Chromebook Pro could be. The questions are pretty vague, basically asking what the survey taker thinks a Chromebook Pro would be and who would be the people likely to use it. 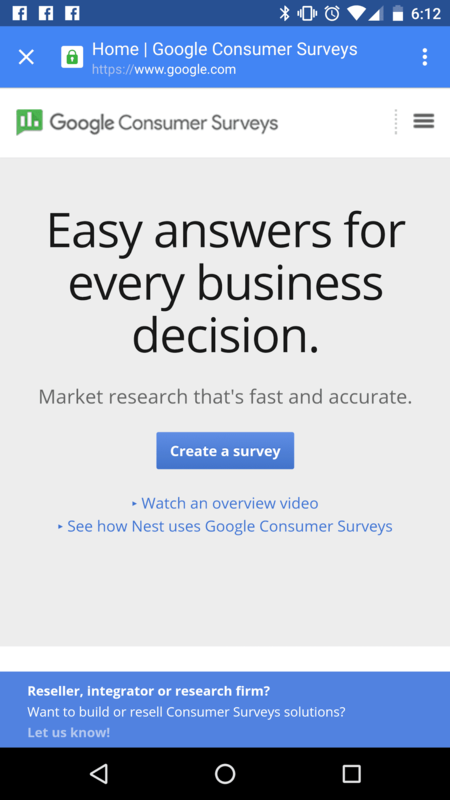 For the uninitiated, Google Opinion Rewards is an app from Google that gives users the chance to answer quick survey questions for a small monetary return. A few questions can earn you as much as $.50 to $.60. Not much, but the surveys are short and those payouts add up to some nice Google Play credit pretty quickly. Anyway, back to this particular survey. If this survey is from Google, perhaps it means something new is in the works. But these questions would point more to a device that hasn’t really made it to production yet. The questions are just too theoretical. A very, very important point to remember is this: anyone can create a survey. 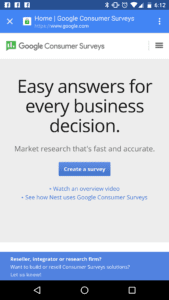 This screen shot is from the Google Opinion Rewards website and makes it clear that researchers can target users for their own research and create their own surveys. What this means in this particular instance is that this survey could be coming from just about anywhere. And, while I love the thought of a new type of Chromebook segment being thought up by Google, I also think we need to consider that this is simply someone collecting some data. But, just like with the Chromebook Pixel Job Posting article, we love taking time to dream a bit. So, in that spirit, what would a Chromebook Pro be to you? What would you love to see and would it be a good move for Chromebooks in general?